Timeless, elegant style and just a little bit of metallic splash with gold braids. A beautiful topper for a long skirt or slacks. 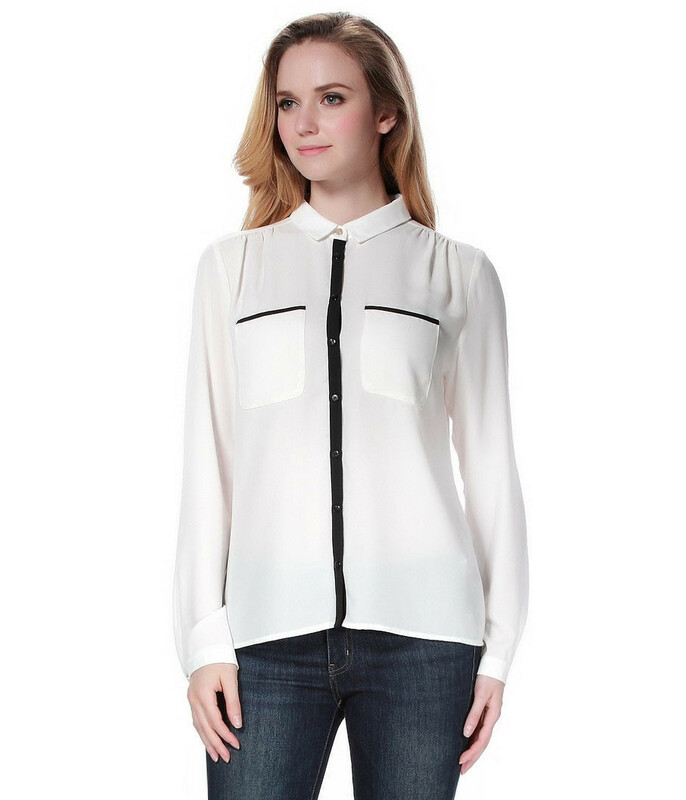 Sophisticated Contrast Trim Blouse is the way to go. Perfect with slacks, skirts and jeans. Midnight blue sheer blouse for when you want to show off your favorite camisole. It should top your favorite silky camisole, an a-line skirt or well-fitting blue jeans. The adorable scoop-neck is accented by a flat, pretty bow that helps to create an innocent and pretty aura. 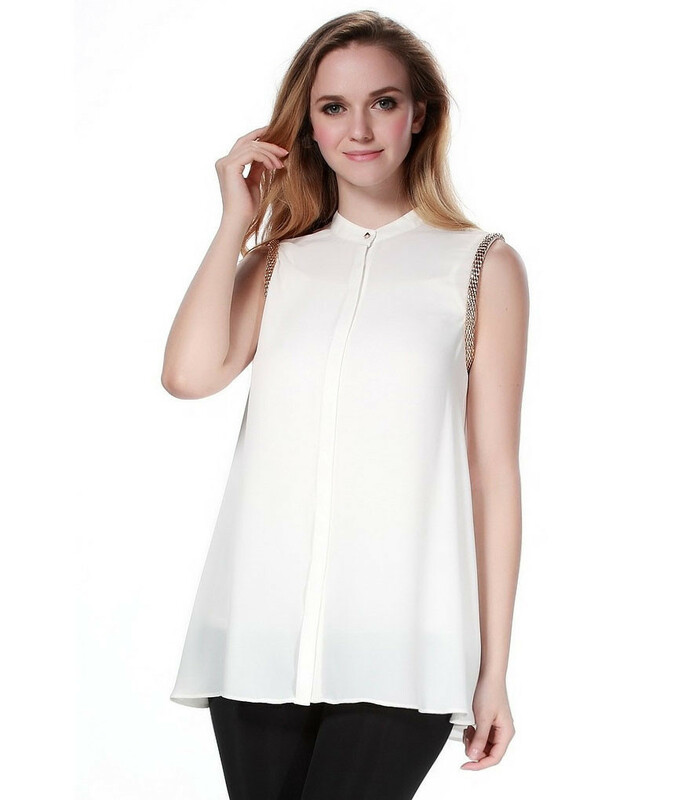 The loose, boxy fit ensures that it looks fantastic paired with simple jeans or a miniskirt. Add a blazer for more sophistication. 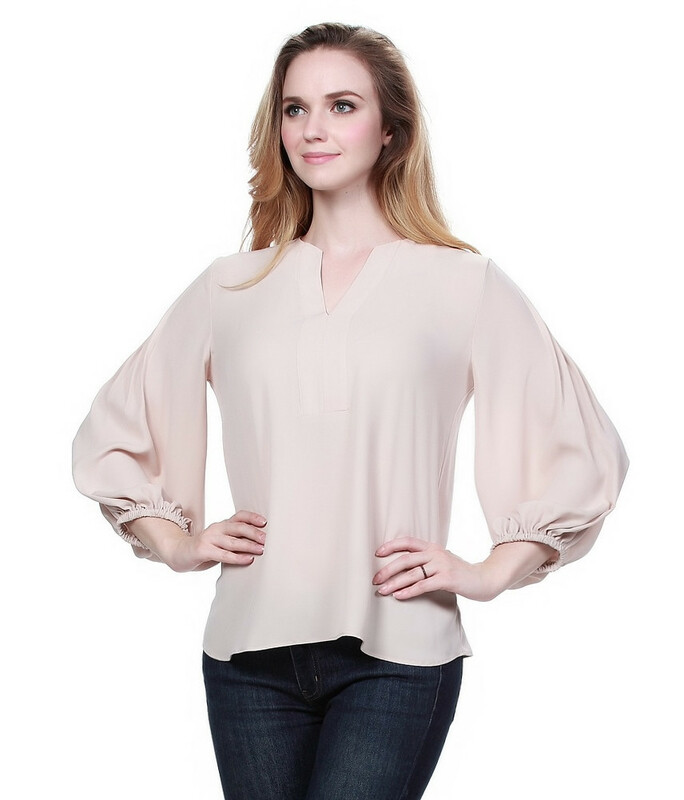 The perfect blouse for work or casual events where you want to look well put together – which, you know, who doesn’t, right? Wear it with jeans for a casual look, or with a skirt and blazer for a work occasion or church. Reminiscent of the femininity and style from the 1960’s. Pair with a pair of jeans, form-fitting skirt or slacks for a classic look. Just for comfort, add a nice pair of platform sandals!